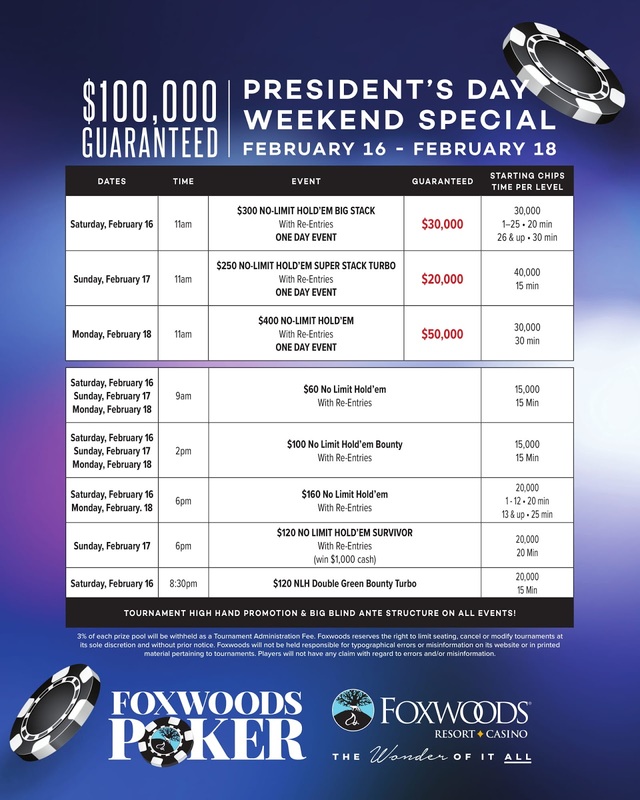 Foxwoods Poker: Next up.. More Guarantees! Don't miss out on the President's Day Weekend Special with our featured $400 NLH w/ $50,000 Guaranteed. 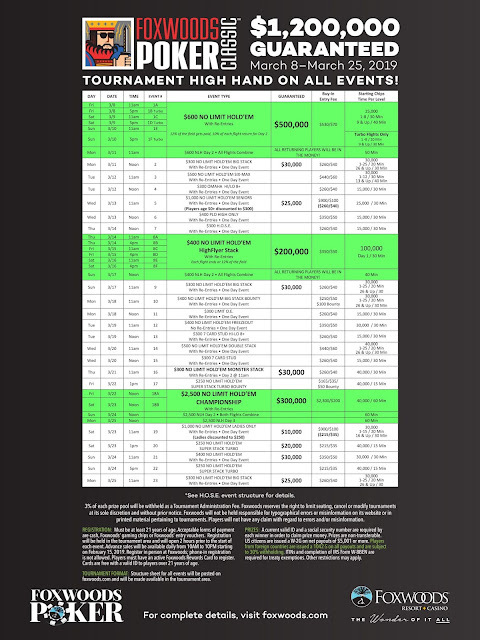 Last year we saw an impressive 304 total entries which created over a $100,000 prize pool. And as always we kick off our Poker Classic with a HALF A MILLION DOLLAR GUARANTEE!! Day 2 players are in the money! !